KB Stamps: Ellen Huston Summer Release Blog Hop! Ellen Huston Summer Release Blog Hop! Hello, and welcome to the Late Summer 2016 Essentials by Ellen Release Hop! 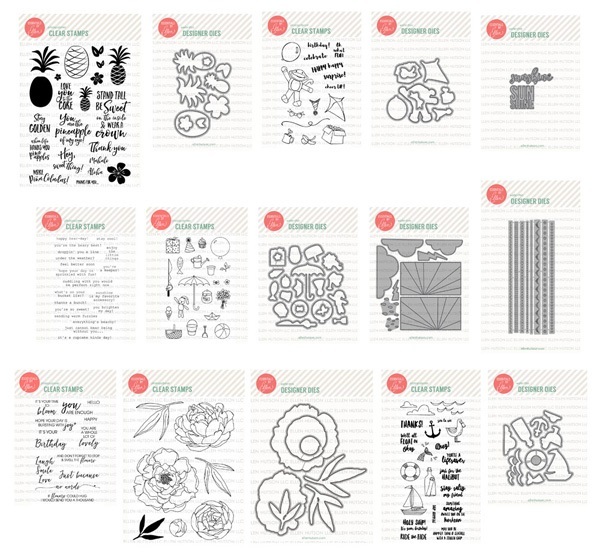 I’ll be showcasing several of the new stamp sets and dies on my post today! So honored to be part of this release hop! OK, now that you know the details, let's get hoppin! You should have arrived here from the amazing JJ Bolton's blog. Now.... here are my creations- eek! First up, is my card using Sock Monkey Surprise & matching Sock Monkey Surprise dies designed by the fabulous Kimberly Wiener! Isn't this set so cute!!!! So playful and perfectly fun. It is ideal for paper piecing. I used some Simple Stories paper with hearts for the belly and kite. It reminds me of my daughter's sock monkey. The Avery Elle Scalloped Frame dies are perfect around the outside. Some Basic Grey enamel dots and timeless twine make the perfect finishing touches. 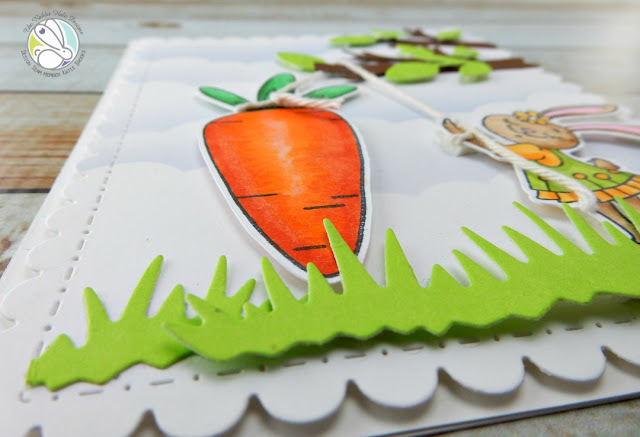 Next up, you'll see my card featuring the new Sunshine Word die by amazing Julie Ebersole. It also includes the Stay Golden set and Stay Golden dies. With black paper as the base of this creation, I needed something bright to pop off the page. So I chose to use the Stay Golden stamps and dies. I used the rock & roll technique to pick up some yellow orange and a little pink for my pineapple. I love the way the colors turned out, the perfect platform for the Sunshine Word dies. I doubled layered these for extra impact. Some washi, twine and more enamel dots finished it off. 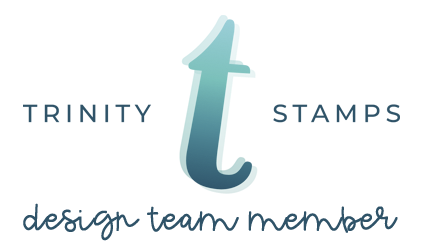 OK, please head over to Heather Campbell's blog next for more inspiration! Thank you for visiting me today! You can view the complete release by going here. Love the sock monkey card!!!! That Sock Monkey is so cute. My 2 yr old nephew will love it. Sock Monkeys!!! Your cards are great. I love the sock monkey card! Super fun Cards. The sock monkey is growing on me the more I see him. This monkey is way too cute. Love the bold colors you used against the black. Thanks! Love the paper pieced sock monkey! Super cute! Love your use of patterned paper on these fabulous cards! The sock monkey is just too cute! pineapples my favorite but a cute sock monkey card too! I don't use black in my cards enough. Your cards are striking with the black accents. Love that pineapple. I love the colors you used on the sock monkey & the pineapple card is great. Thank you for sharing. Your sock monkey is so cute and the paper is great. Your pineapple really pops against that black background and sparkles so much. Your monkey card is sooooo adorable. Love them both. I am in love with the sock monkey! What a great release this is! Your cards are wonderful! Katie these are both so darn cute! I LOVE what you did with Kimberly's sock monkey and the pineapple just looks fab over the black background! I love your Sock Monkey card and how he matches the kite. Rock on! Thanks for sharing. Your cards are so much fun! I really love that pineapple! I likey. Thanks for the inspiration. Katie girl, you know I LOVE LOVE LOVE what you have donw with this, the apper piecing is FAB FUN and so quirky COOL! The use of black so HIP!!!! Thanks my friend for this awesome showcase!!!!! MWAH! Fantastic cards. love that frame die it makes the first card. OMG the black background with the pineapple!!!!!! So FAB!!! Love your cards and your paper piecing!! That sock monkey is way too fun. What cute cards! I love that sock monkey and the way you used pieced paper is so clever. The coloring on the pineapple is so pretty and it really pops on the black base. Thanks for sharing your talent with us! Very cute cards. Love the stitched border. I want that set in a bad way! Very cute cards!! Did you use one of the border dies to make that framing around the sock monkey?? Thanks for the chance to win!! I love using the rock and roll technique. It gives such great results. Thanks for sharing. I love the sock monkey with the kite. Now that is an original idea for a card. Wonderfully done. Really love your Sunshine card! That sock monkey is so cute, I love the way you paper pieced it! Katie your cards are stunning! As always I love your cards! I really like the saying with the pineapple set. This is a very versatile release and I can already imagine many ways to use these new stamps and dies. Thanks for the chance to win. Both cards are awesome! The sock monkey is absolutely adorable! Super cute paper piecing sock monkey card, and beautiful pineapple card! Your sock monkey is so cute! I love his patches. Love this release! Thanks for the wonderful inspiration! What an awesome job you did on both cards. You show 2 very different, yet amazing styles. Thank you for sharing. These look great! So fun! 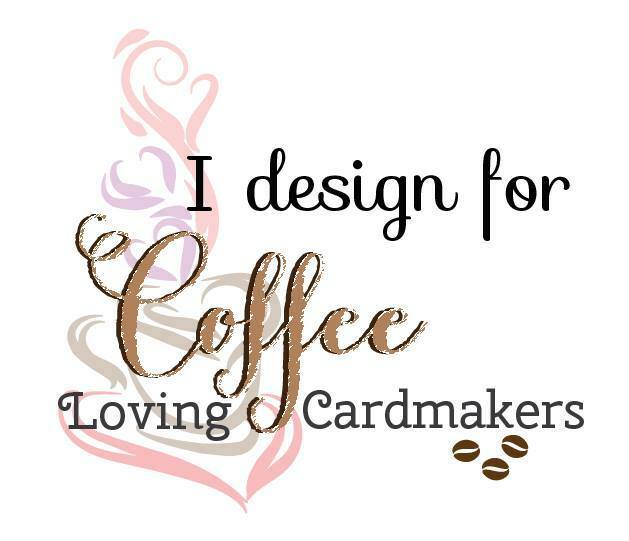 I love the cards you've made with these new products, especially the sock monkey card! Thanks for sharing! These are great cards - love how the pineapple stands out against the black background. This release is just awesome. Such cute cards! Love the sock monkey one. Such wonderful colors! Love the use of the black paper. What a great way to make the colors pop off the sheet. S0 cute and inspirational! Thanks! What cute cards! Thanks for sharing. What a happy sock monkey! Love the layout. The pineapple card is bold and dramatic...Love it! Beautiful job!! I love your bright cards and I LOVE this new Ellen release!!! Oh my I love your take on these stamps and dies. The monkey card is so cute! Great cards! Love the colorful sock monkey card and the dark card with gold is stunning! Thanks for sharing on the blog hop. How fun! I love all the happy colors in your creations! The more I see, the more excited about the sock puppet set! Bright bold and awesome cards! Both of your cards are striking! I just love that adorable Sock Monkey set, and your card is great. Love the clever way you incorporated the heart pattern paper into the monkey and kite! TFS. That sock monkey is THE cutest! Love your cards. Brilliant use of the patterned paper on the monkey card and that pineapple card really sparkles (pun intended). Your rock & roll technique was perfect, the colors blended together very well. Love it! 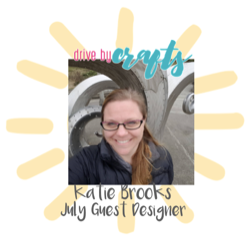 Such fun products from Julie! And your projects are happy and cheerful. Thanks for sharing. What great cards. I am so partial to that wonderful colorful sock monkey. such beautiful cards. I can see everyone falling in love with that cute monkey. Thank you for sharing your artistic talents. Such cute cards for the Blog Hop. Love that little sock Monkey by Kimberly. Thanks for a chance to win. Freshly colored pineapple!! Sweet sock monkey too! WOW Katie, these are so cute! Love that sock monkey! I like the black background with your pineapple! So eye catching! I love the colorful hearts and the stripes paired together with your cute monkey. Pineapples are my new obsession!! Great job. OMG, I just love how you did the sock monkey. Very cute!!! And I love the sparkle of the 2nd card. Lovely. This is an awesome release. I love your Pineapple and Sunshine card. Love your creations and this is a wonderful release. Pretty cards. Love the sock monkey. I love the contrast if the dark background with the pineapple. So pretty! LOVE your fun and colorful cards and this new release!!! Fabulous designs on both cards! The wonderful colors and great papers are just perfect for your adorable monkey creation! Oh my!! Sock monkeys make my heart happy and this one is adorable with his kite and paper piecing! Your sock monkey is sooo cute and fun! Wow! Beautiful cards! Love the cute sock monkey. And the pineapple on the second looks good enough to eat! Ooooo... I really like that you used black, as the images/colors do stand out so much more with it on both cards. Wish I had that little Sock Monkey stamp set in my hands, though. I am working on kid cards and just know the images would go over big time! Thank you so much for sharing your sweet cards, and for the opportunity to win a fun stamp set! Delightful cards! Love the details on your fun sock monkey card! Awesome cards!The little sock monkey is adorable & I love the way you showcased the Pineapple against the black background! Commented already on Instagram but had to come by and tell you how much I love what you did with the sock monkey and the colours so cute and the pineapple is so sweet--pun intended! Cute cards, Katie. Love the hearts on the sock monkey! Great cards. That monkey is so cute done with the bright colors. Thanks. Your cards are so cute! I'm in love with this release. Your cards are beautiful and I love the one with the black background, so origional and bright. Sunshine on. oh that sock monkey... super cute!!! Your cards are beautiful. Love the sock monkey. Thanks for sharing. So inspiring to see how many different ways you can use all these new sets!!! Great job! Love pineapples!!! Love your paper-pieced monkey. So cute! Your use of colors is very impressive, thanks so much for sharing your designs with us. Cute cards! I need that pineapple! love the pineapple card!! Thanks for the inspiration! I enjoyed your colorful sock monkey, but your pineapple card wowed me! The black background was perfect for the pineapple! Gorgeous! Great work! Love the colors on your first card. What fun! Love these cards! What a great release! Love your cards ythey're really cool. Thanks for sharing. Love your cards Katie....that colorful sock monkey is super cute!!! Super fun cards! What a wonderful release! I love your cards! That pineapple card with the black background is a stunner! Cute card. Love the design in his hands and feet. Love your cards. The first is so fun, & the second is elegant. Well done, Katie. You just gotta love that monkey! So cute with the different colors! I like all the layers on the sock monkey card. lovely pineapple card! 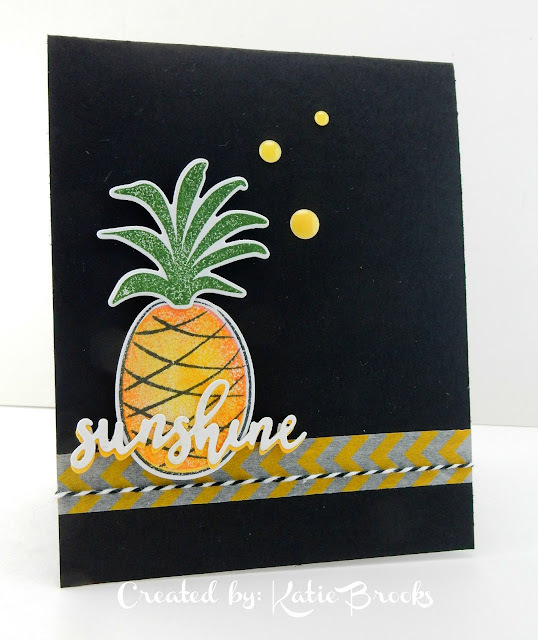 I love that pineapple on the black cardstock, so striking. Thanks for sharing with us. Love that little bear and that black background for the pineapple, awesome! Thanks for sharing. Love your cards. The sock monkey with the kite is adorable. I love, love, love your sock monkey card! Adorable cards. I love that black background for the pineapple, really makes it pop. Thanks for sharing. Your paper pieced sock monkey is so fun! What a great idea. Brings more colour to the little guy! Just looking at these bright, happy cards makes me smile! Thanks for showcasing the new release and for the opportunity to win such a great prize: I would choose the Mondo Peony. I love the black! Makes everything pop! Great cards! Katie, you have a very creative style!!! Love the black on the pineapple! Also love the bright colors on the monkey! Cute cards! Thank you for sharing as well as a chance to win one of these awesome sets! Oh! Love that pineapple on the black cardstock!! Very nice! Gorgeous cards! The sock monkey card is adorable, love all the detail on it. The coloring on your pineapple is stunning - really pops! Thanks for the inspiration. darling sock monkey card and love how you used the pineapple set. So cute Katie how you used Kimberly's new stamp. Love your gorgeous pineapple card. The sock monkey with the hearts is adorable! Wonderful job! Super cute cards = and a great new release. Great job with the cards, Katie! The sock monkey is adorable and the pineapple looks great! 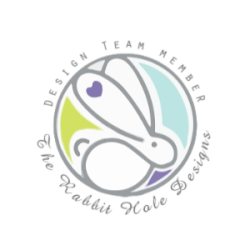 Thanks so much for sharing with us and for participating in this great hop and giveaway. Very cute cards. Love the paper piecing card with the sock monkey. It's fun. Love these on the dark card stock. It makes them really pop and the cards are beautiful! This is a super new release with great possibilities. What a cute pair of cards Katie!! Love what you've done with Kimberly's new set!! This is what is so cool about blog hops. You get to see some of the same products used in totally different ways. I love what you did with the sock monkey. These are both nice. I like the pineapple against the black card stock. Very nice. So adorable! Gotta love that sock monkey. What a fun sock monkey!!! Love the colors you used and your pineapple card is just fab!!! Great cards, Love all the colors you chose for sock monkey card. Love your adorable neon sock monkey and fabulous pineapple card! That first card is so darn cute! It's colorful and happy. The other card is beautiful and so classy. Adorable monkey and love the pineapple card. Wonderful cards, Katie! I love this new release so much. So many things to add to my wish list. Thanks for your inspiration. Great cards. Love the kite. I LOVE the Sock Monkey! What a cute card! Love your cheeky monkey. Colors and embellishments are perfect. Thanks for sharing! Beautiful cards, love the paper peicing monkey. Such fun, bright and bold cards! So cute and fun. Love the coloring. Adorable sock monkey and fun pineapple cards. Pineapples and monkeys...oh my! Love your cards! Hey, Katie! 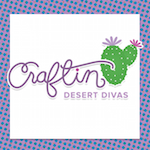 long time no see- it's so nice to see you crafting in this blog hop - love you fun creations. Such cute designs! I just love these new sets! Yay YOU! I love them both! Monkey's and Pineapples! Great cards! I love your idea with the sock monkey! I love your sparkly pineapple card! The colors, the texture, etc. Thanks for sharing! that pineapple really stands out on the black! So excited for many of the items in this release!! You really have a knack for making your cards feel new and modern. Your sock monkey is so cute. So much fun! Love both the cards! Both of your cards are fabulous, Katie!! Gotta tell you, though, that your sparkly pineapple stole my heart. ♥ It's just stunning! Especially on that black cardstock. WOW!! Great cards love the sock monkey so cute! Thanks for sharing these cards with us. They are both wonderful. Love the sock monkey card!! Pineapple card is cute too. Originally from Hawaii but now reside in Florida, I am automatically drawn to your pineapple card. The simplicity of the design and the unique colors used were great. Thank you for sharing. Love the pineapple against the black, very pretty! Great cards! The sock monkey is so cute (love the piecing approach) and I'm smitten with your pineapple card- so elegant! Your sock money card is do adorable and am sure that my grandsons would love receiving it. The pineapple card is colored so vibrantly. Oh, my!! How in the world do you manage??? I would be so happy to get a card like this. Actually, it would thrill me beyond belief to be able to MAKE one of these and have it turn out so well!!! Thanks for the inspiration. What a happy monkey card!! Love how you used the patterned paper, super cute! The sock monkey is soooo cute! The sock monkey is super cute. I love how you decorated him. these are both fabulous but sock monkey stole my heart! The sock monkey card is so cute! Oh, Katie, you nailed it with the monkey!! Everyone must have a sock monkey! The pineapple card is absolutely striking, too! Thanks for your inspiration! 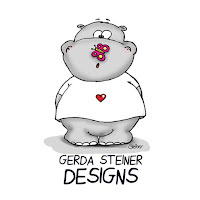 Inky Hugs back at you....love your creations!